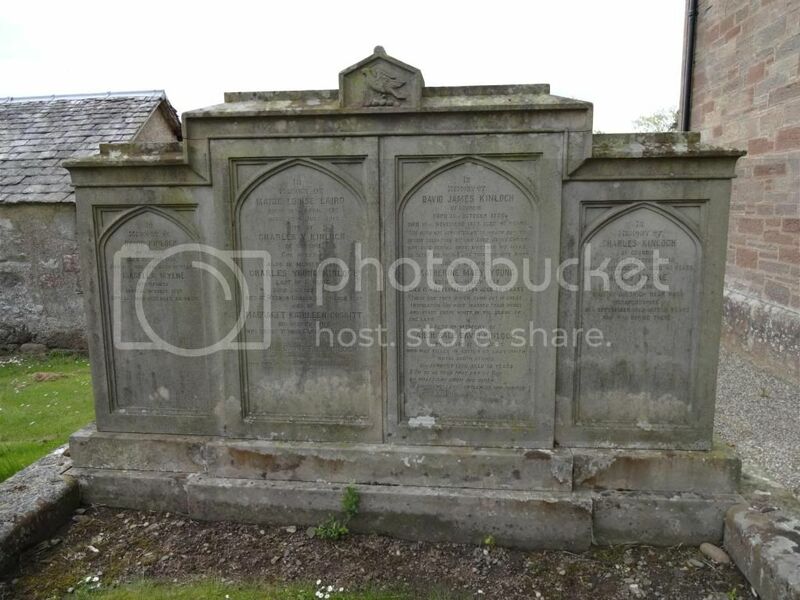 Clunie Churchyard is situated on the West shore of Clunie Loch at approx grid ref 109 441 on OS sheet 53. To get to Clunie Loch from Blairgowrie you take the A923 Dunkeld Road. It is approx 5 miles out of Blairgowrie. Follow the signs for Clunie when you get to the Loch. The CWGC records 1 casualty. 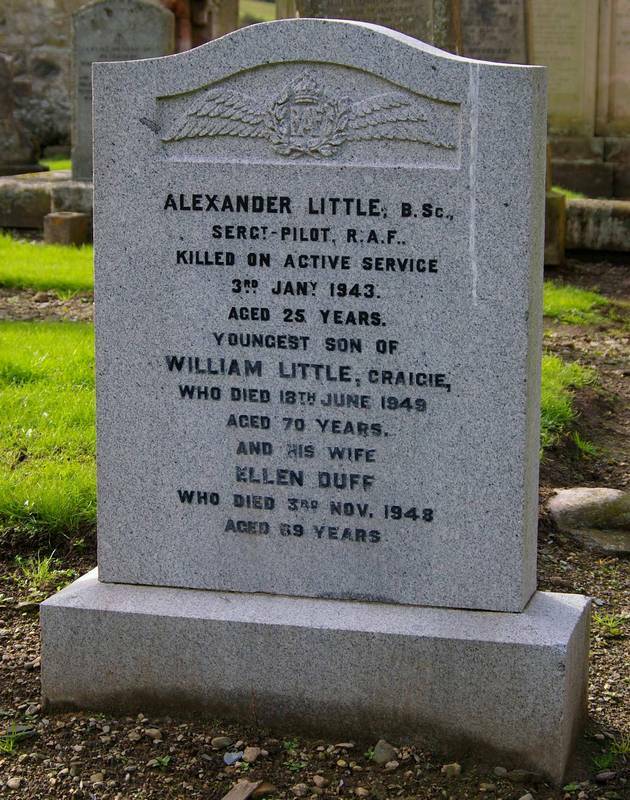 Additional information: Son of William and Nellie Little, of Clunie. B.Sc. Agriculture (Edin.). Regiment/Service: Black Watch (Royal Highlanders) 3rd Bn. attd. 2nd Bn. Panel Reference Panel 25 and 63. 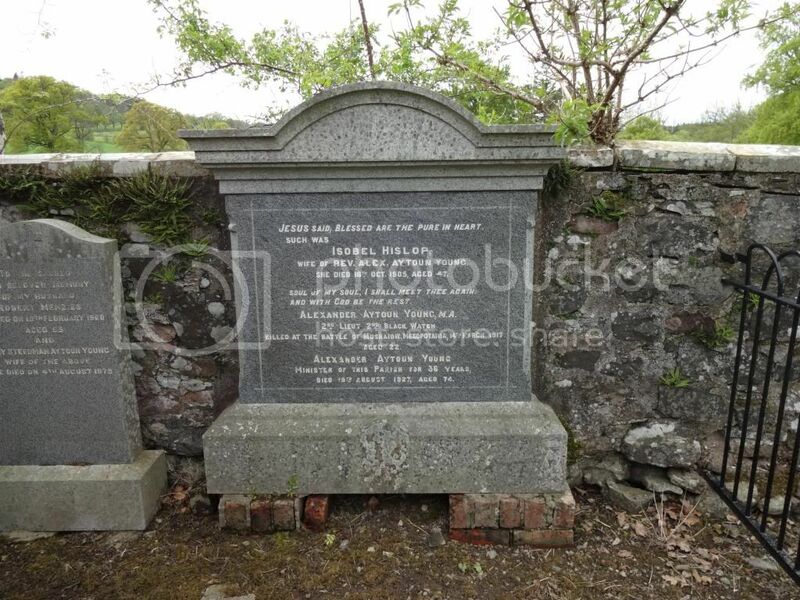 Son of Alexander and Isobel Aytoun-Young. Regiment/Service: London Regiment 19th Bn. Grave Reference: V. H. 2. 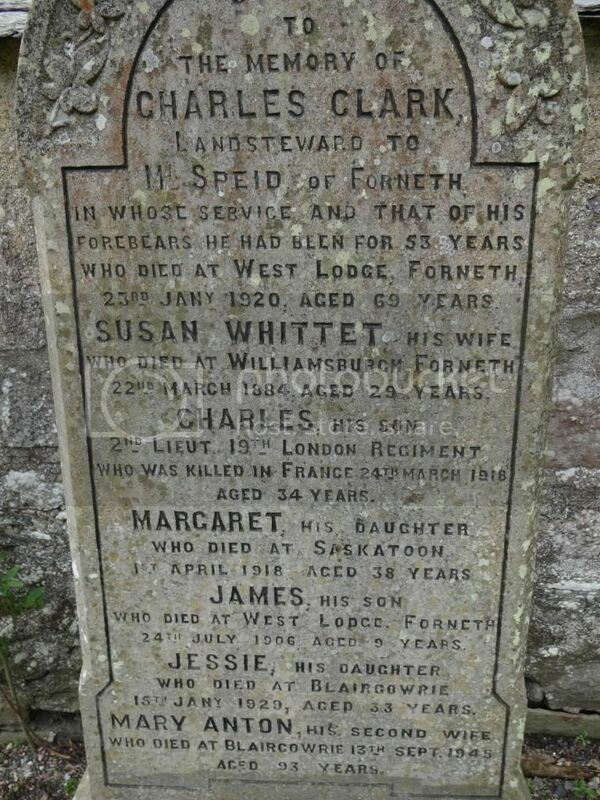 Son of the late Charles Clark, of Forneth, Dunkeld, Perthshire. Gr. 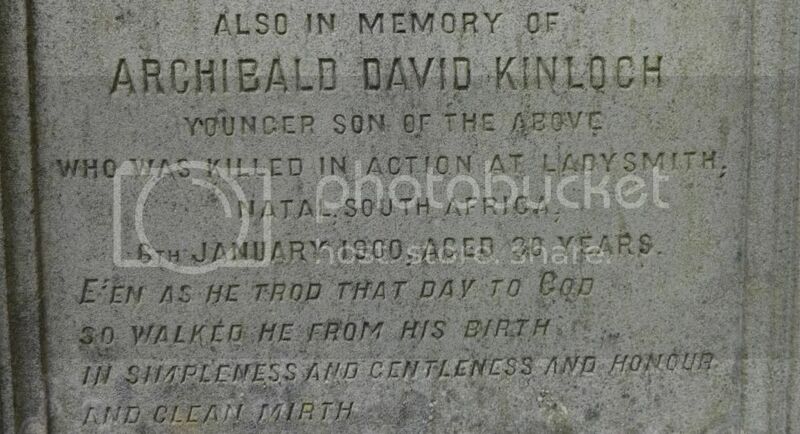 Kinloch, Archibald D. (Gourdie). Hotchkiss Detachment. Enlisted 1899. Served in South African War, 1899-1900 (Queen's Medal with Clasp "Defence of Ladysmith"). Killed on Wagon HIll, January 6, 1900. 24882. Pte. 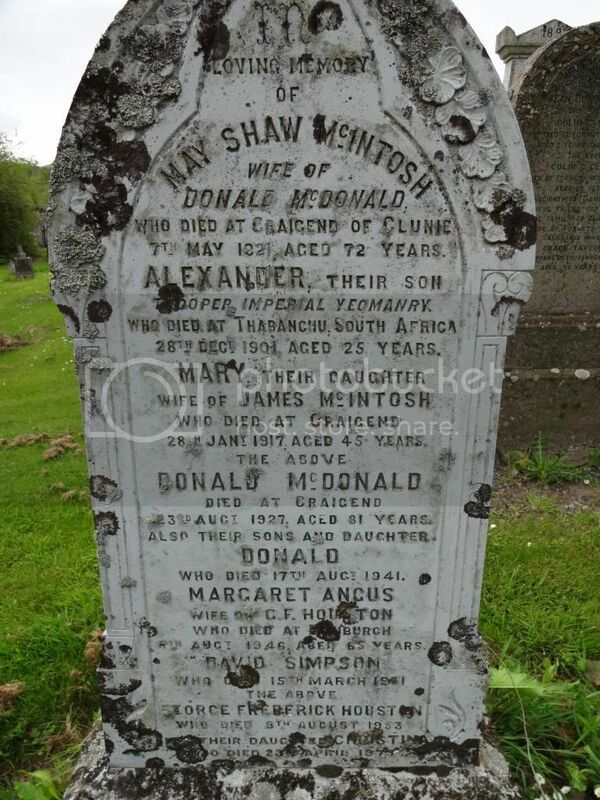 McDonald, Alexander (Straloch). Enlisted 1901. (Queen's Medal with Clasps, "Cape Colony", "Orange Free State", "Transvaal", and "South Africa 1901". Died at Thabanchu, Dec. 28, 1901.